Police said he was first intercepted by its sleuths at the Mumbai airport yesterday, based on a look out circular. File photo for representational purposes only. 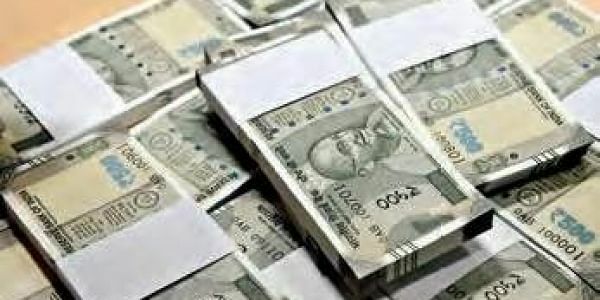 NEW DELHI: The Enforcement Directorate has arrested a Kolkata-based businessman here in connection with an alleged conversion of over Rs 25 crore in old currency in new notes as part of its probe under money laundering laws after demonetisation. Officials identified the businessman as Parasmal Lodha and said he was arrested by the agency here late yesterday here after he was questioned in the case. They said he was first intercepted by its sleuths at the Mumbai airport yesterday, based on a look out circular, while he was reportedly trying to fly out. They said the agency arrested him "in connection with the conversion of more than Rs 25 crore of old notes to new notes in Shekhar Reddy and Rohit Tandon cases." ED will produce Lodha in a court here to obtain his further custody under the provisions of the Prevention of Money Laundering Act (PMLA). While the Reddy case pertains to Chennai where the Income Tax department has made the biggest detection of unaccounted income of over Rs 142 crore, the Delhi Police and the I-T seized Rs 13.5 crore from a law firm here. The firm belongs to lawyer Rohit Tandon. Reddy was yesterday arrested by the CBI. Officials said the multiple agencies working on these two high-profile cases, involving high-ranking individuals, are joining dots of the investigations to prepare a water tight case against those who have either hoarded or generated black funds in the wake of the currency scrap of November 8 by the government.